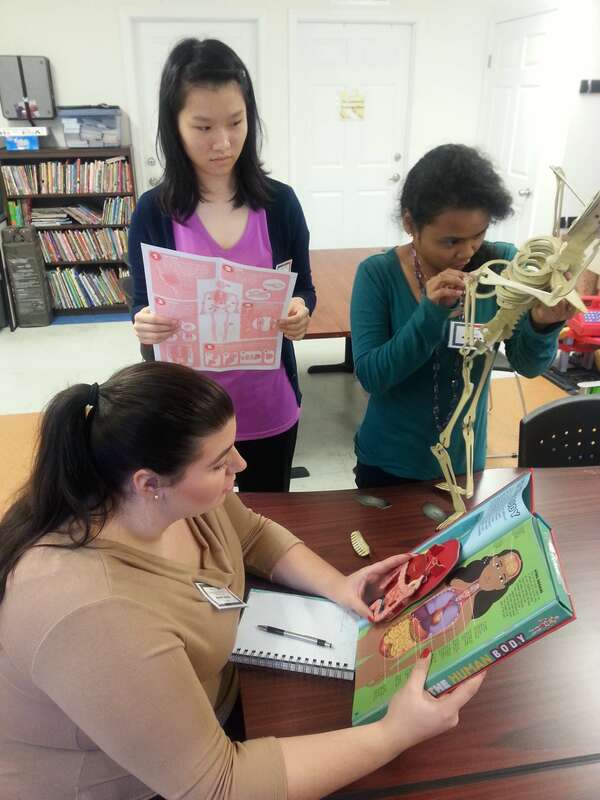 Several students from the University of Florida are completing internships and practicums at SWAG Family Resource Center! Today Health Education and Behavior Interns are developing curriculum for students in the After School Enrichment program during which the students will learn about different body parts and systems and how to take care of their bodies through nutrition, exercise, and other forms of self-care. During the learning experience the students will have the opportunity to build a 2.5 foot skeleton. We are excited to have interns and practicum students assist us with services and programs and we enjoy being a part of their learning experience.